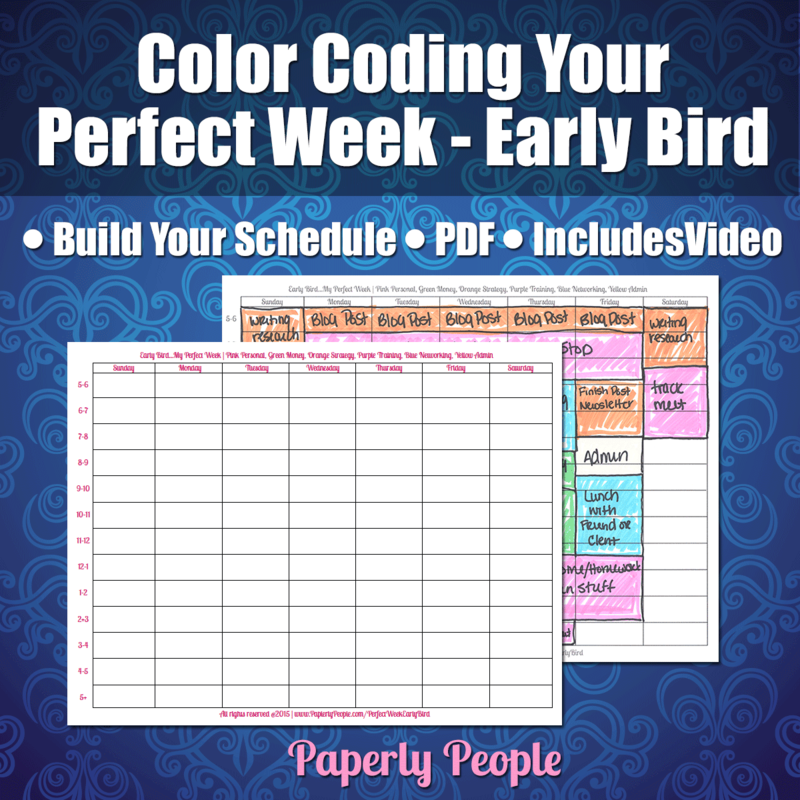 Planner Manners - How To Color Code Your Time and Your Life! 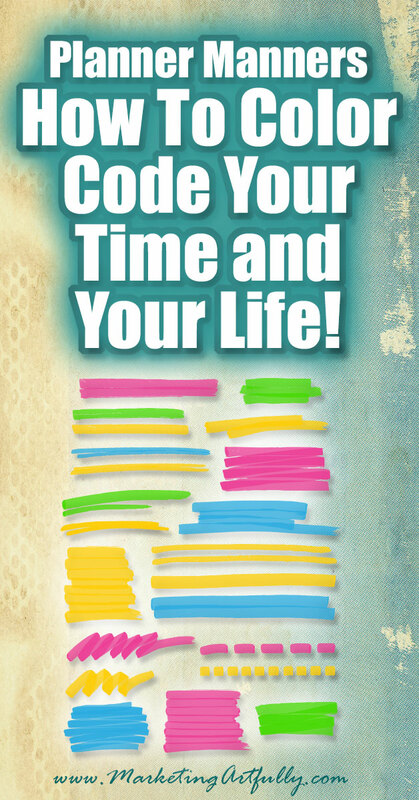 You are here: Home / Time Management / Planner Manners – How To Color Code Your Time and Your Life! Alrighty then, for those of you who have been stalking me for YEARS to make this video about calendaring and planner manners…this one is for you! Now, this system is not my own, I heard about it from my besty, Deb Ward, The Irish Realtor, and she heard about it from someone else. If you are a visual person like I am, this will probably work great for you! It also works great for people with OCD (Obsessive Compulsive Disorder), ADD (Attention Deficit Disorder) and basically anyone who wants to take their time back and get some real balance in their lives. 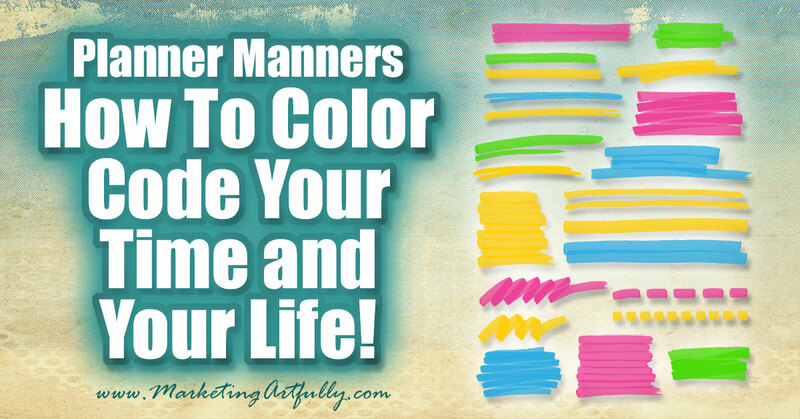 I started doing Planner Manners years ago when I worked with Deb at Keller Williams. Over the years since I opened a marketing company, began speaking nationally, took on coaching clients and adopted three kids, and the system still works. When I started doing planner manners I just had a hard copy planner and if someone needed to see it I would scan a copy to them (Deb still uses a hard copy planner exclusively and her assistant just grabs it every now and then to coordinate their schedules). For years I only used an online version (I have iCloud with Apple but Google Calendar lets you color code too). It worked great for my business but when we threw the kids into the mix it was not as functional for me day-to-day. The key to this kind of system is that it is visually based. I am not the kind of gal who can just have an appointment tucked away on a computer and actually remember it. I have to be able at a glance to see that I have a meeting out of my office, two client coaching calls and some strategy work to do. This can happen at a glance because each type of thing I do has its own color. If you are thinking about going to this kind of calendaring system, please also consider focusing on family, friends, pets or other “real” things in your life. As entrepreneurs it can be very easy to ignore your loved ones for day (weeks) at a time when you are in “in the groove” working. Well that is okay sometimes, but in general, they like to see and hear from us way more than that! Go ahead and start planning your time with the pink bits first. These can be school days off, holidays, vacations, lunch with friends, concerts…functionally anything that is fun and has nothing to do with work. My next most important color is orange. This is the color of planning for the future and how I am going to make more money going forward. If have weeks without any orange I can rest assured that I am mired down in working my business and not doing any strategy at all. Orange can be writing blog posts, meeting with JV partners on a new project, prospecting for speaking events, scheduling open houses to increase your relationships…functionally anything that has long term implications for increasing your business or reach. In my world, green comes from doing client work. In your world it could come from going to an appointment, writing a contract on a house, booking a speaking gig, sales of your books, and product sales. I don’t write down what I make daily (although that might not be a bad idea), instead I color the work I do that is a direct result of my client payments. Functionally for me this is planning client’s marketing, scheduling blog posts, fixing graphics, basically anything that I do for them. I use vibrant blue as a way to show that I going to be leaving my office and heading out into the real world. This can be to speak, for a networking event or even just to meet someone for lunch. The reason this is important for my life is that my assistant and family needs to know if I will be at my home office or offsite. Please don’t forget to include travel time in your calendaring. My assistant and I used to have all kinds of crossed wires before I put how long it would take me to get from Point A to Point B! We all have things in our business we have to do like pay bills or file papers. These tasks are the horrible ones that no one would choose to do, but which we as entrepreneurs cannot ignore. I make these hightlighter yellow. I like to learn thing and so I do a lot of training both online and in person. This is colored purple and is definitely an important part of my business. I think we are too willing to let learning take a back seat to “real work” and feel like it is something that best left for later. I almost put this one as #2, just because I think that if you are not growing as a person consistently, you are going to stagnate and wilt! I also make when I teach purple, I know, that seems confusing, but you would be surprised how easy it is for me to figure out! If you are not a visual person, you might not completely understand how important being able to “see” what is going on is. I swear that if I put something in a folder, it disappears forever, never to be seen again! The beauty of the colors is two-fold. First off, you can tell at a glance what you have on deck for the day. Whether it will be a fun and festive day or a nose to the grindstone, get stuff done kind of day. The other half is seeing if you are all out of whack. If your planner is covered in yellow, it is time to get an assistant turn over some of those admin tasks to him. If it is all green with no pink, you can bet that somewhere is someone or something that misses you and wishes you had more personal time in your life! 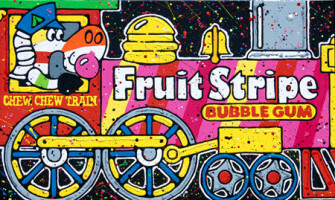 The last thing is to avoid having your calendar looking like the fruit-striped gum zebra. Remember him? It was super cool that he had all the different colors of the rainbow all mixed up together. But if you are a business person, that is less cute. If you are jumping from admin to client work to training and back again, you are not going to be able to get much done effectively. Instead you need to time block your months, weeks and days so you know what you are doing. If you are going to be making videos all day on Friday, it doesn’t make sense to try and set up a complex new sales funnel on the same day. Now, it might make sense to fill in with some training while your videos render, making the most of your time without setting up competing tasks. There is probably a reason for that! Most small business owners and entrepreneurs are trying to cram 20 hours of work into an 8 hour day and failing miserably!